Perhaps you’re an inline skater, like myself, wanting to get more out of the sport? Perhaps you’ve never skated, or haven’t in years, but are interested in learning? Perhaps you’ve seen me skating around Charlotte and want in on the fun? 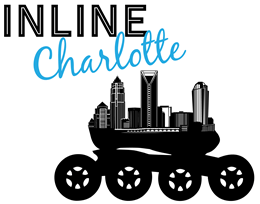 Founded in 2015, Inline Charlotte is a voluntary organization that is actively looking to grow. Mission Statement: To unite, develop, and promote safe outdoor inline skating in Charlotte, North Carolina. Looking to join? Contact us or come out to one of our Wednesday Night Skates or Weekend Meetup Skate Skates. Share this website and encourage any family or friends who may be interested!